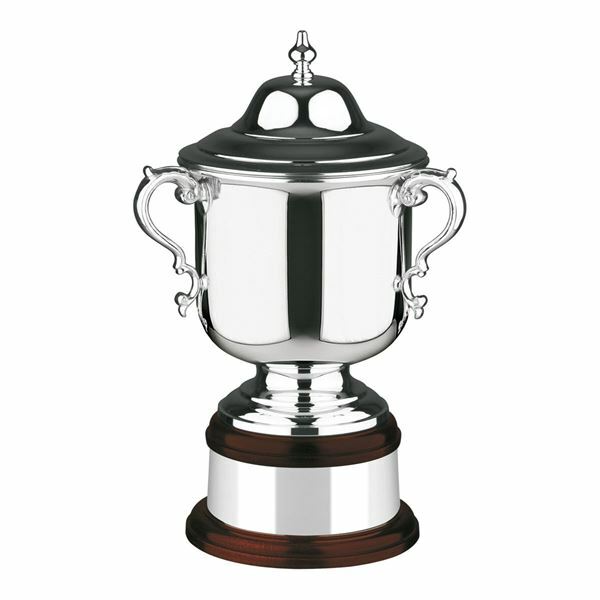 Silver Plate Mayfield Champions Cup with lid, mahogany plinth and engraving band. 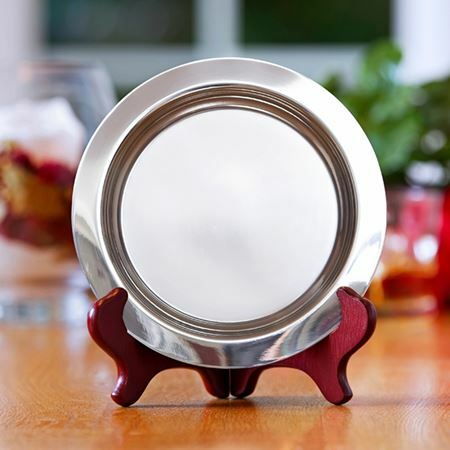 These pewter presentation dishes come in four sizes and are perfect for any commemorative award or retirement gift. 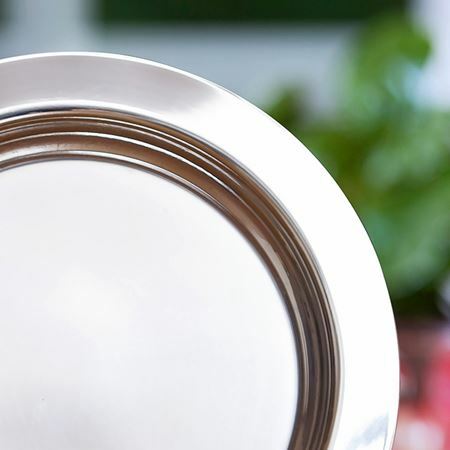 They can be personalised with dates and logos, messages and signatures to make a memorable and special piece. Email sales@inkerman.co.uk for a free proposal on how you can have this piece personalised.